Finally, Facebook! 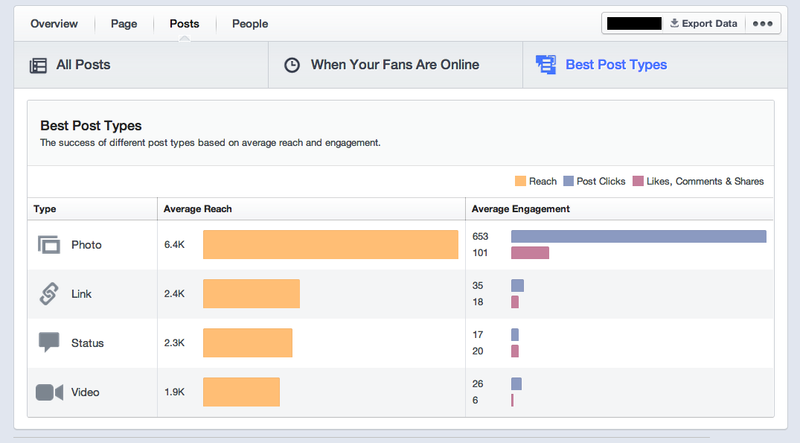 This new section of Facebook Insights provides you with not only the times that all Facebook users are most active, but also provides you with incredibly valuable information on when YOUR audience is most active. This means you can actually determine what time of day, each day, your fans are most likely to see your content. Simply mouse over each day to see the data. The graph below in the “Times” section will show a dark line indicating the most popular times for your fans. The solid section in the background indicates the most popular times for all Facebook users. Pay attention to the line rather than the solid section in this case, so that you’re optimizing your posts for your specific audience. Over the next few weeks try posting during peak times and monitor how your reach and engagement levels change. You should also pay attention to the days that your fans are most active — are these weekdays or weekends? The Best Post Types section provides you with fantastic information on which types of posts are most popular among your fan base. Here you will see exactly how much reach and engagement your photos are getting in comparison to other post types – such as a status, video or link. 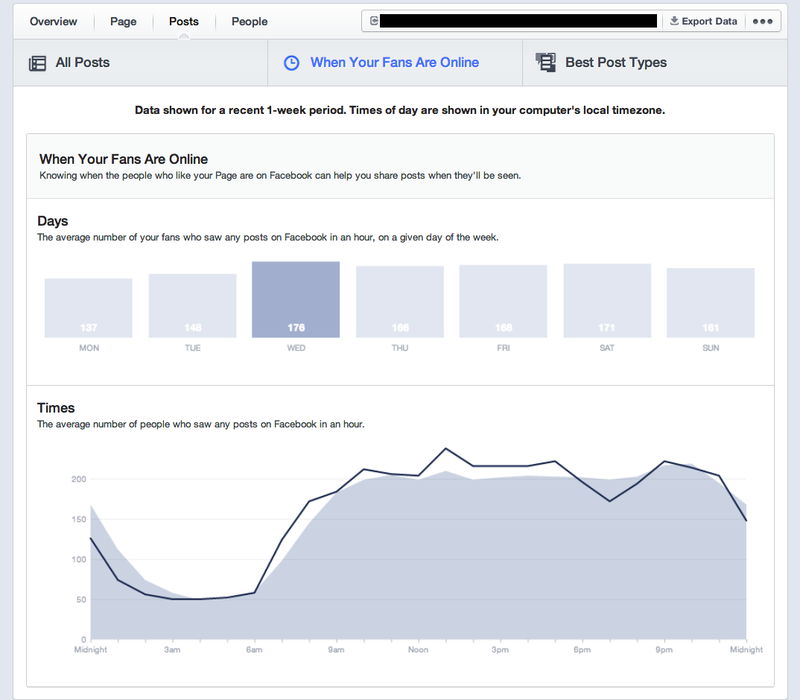 We’ve all seen the articles talking about how much more exposure you get when including photos in your posts — and I’m certainly not discouraging adding photos to your posts — but check this section of the new Page Insights to get a clear understanding of the types of content that are actually most popular for YOUR fan base. Believe it or not, it may not be your photo posts! This new section gives Page Admins an idea of how many people have unliked the Page over time. Watch this area for any spikes in “unlikes” (in red) so that you can determine what happened that day that would have caused so many people to unsubscribe from your updates. This section should also be monitored for any boosts in likes, to get an idea of what kind of effect particular contests, campaigns or regular content have had on your fan base. By clicking on any of the sections in the legend (Unlikes, Organic Likes, Paid Likes, Net Likes) you can manipulate the graph to give you a clear view of each category, as well as the average number of likes (or unlikes) for that period. There are lots of other great changes with the new Page Insights. Which new features are your favourites? Do you like the new layout and the new data, or are you missing the old version? Share with us in the comments below. If you need help making sense of the data, we can provide monthly easy to read reports that track not only your Facebook efforts, but many other important social media metrics too! Get in touch if you’d like more information on social media measurement services for your business. Join us on Twitter and Facebook for more social media tips and tricks!